Obagi Nu Derma Clear Fix is said to be a synthetic hydroquinone-free treatment. It is to correct UVA damage and the hyperpigmentation that aging causes. Obagi claims that this cream will fade age spots and creates a smooth, even skin tone. The hydroquinone in this formula is derived from bearberry and is synthetic chemical-free. They say this skin lightener is a natural solution to minimize the imperfections caused by melisma, sun damage, and acne. The non-prescription formula is said to be gentle, but effective in clarifying and brightening skin. Obagi says Nu Derma Clear Fix promotes the development of healthy skin cells for a beautifully, radiant appearance. They claim this formula will not irritate skin while diminishing damage, age spots, and quenching dehydrated skin cells. 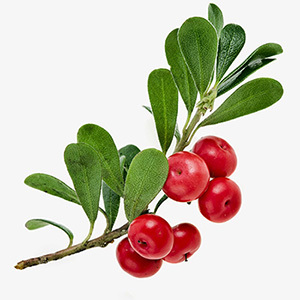 Arbutin, which is a natural glycosylated hydroquinone used as a skin brightener, is obtained from bearberry, pomegranate, and pear trees. Vitamin E creates a protective barrier to maintain the skin’s moisture level while it penetrates skin cells to deeply hydrate. It has been used in skin care for centuries to diminish scars and stretch marks. The ingredients in this skin brightener have been individually examined. It is considered hydroquinone-free as that included is not synthetic, but derived from nature. This product offers protection from the sun. There are numerous positive reviews for this cream and they far outweigh the negative. There are no clinical studies for the OTC version of this cream. This product contains butylparaben; propylparaben; methylparaben; and saponins. Amazon redirects consumers to the Obagi website for refunds and it does not provide information about returns either. It is difficult to find data concerning the OTC version of this product on the official website. This may not be the real Obagi deal. A 2-ounce tube of Obagi Nu-Derm Clear Fix OTC Gel may be purchased for around $70 from Amazon as well as several other popular skin care websites. The OTC version does not appear to be available on the official Obagi Medical Pharmaceuticals site. There is only info for the version which requires a prescription. Obagi Nu-Derm Clear Fix OTC Gel has ingredients that have been studied in the scientific community. The end formulas which require a prescription have been clinically tried; however, this over the counter formula has not. It is difficult to obtain ingredient efficacy, of pricing information from the official website. Taking that and the fact that it is very pricey, this is an unwise purchase.